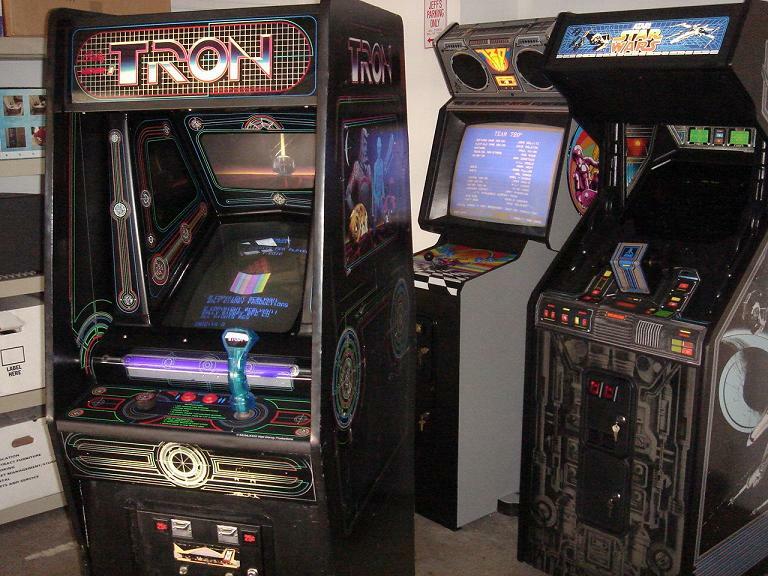 Welcome to my Tron arcade game page. Please check the links to the left for more pictures and info about the restoration. 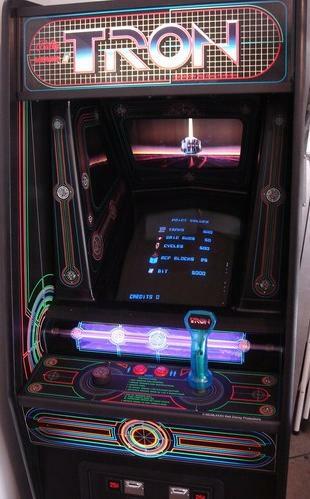 As a kid in the early 80’s I enjoyed playing Tron in the arcades, but was never really obsessed with it. 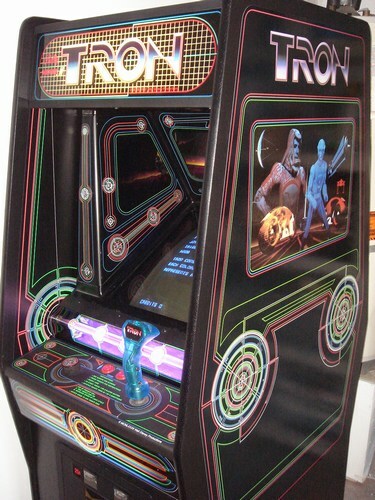 After it had mostly disappeared from the local arcades, the only place I could find Tron was at the Disneyland Starcade. 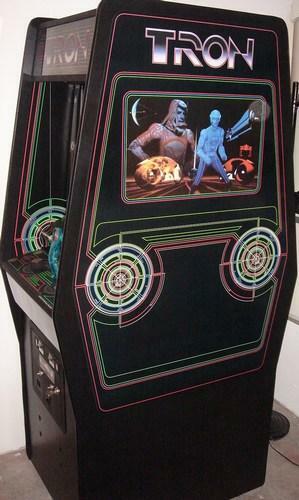 For several years during high school and college I had a year-pass at Disneyland, and would often make the drive from San Diego just to go to the Starcade and play Tron and Starwars. During those years I really grew to enjoy the game. In 1996 I found one in a local arcade and started to think of owning one for the first time. Here is a 12 year old usenet post I made about that first effort to purchase a Tron. It was not meant to be at that time, and various circumstances kept me from meeting this goal until this June (2008). I finally found a very nice Tron on Ebay about 80 miles north of my home. I put in the winning bid, drove up to L.A. in my father’s van, and slid it into the back. Despite being over 25 years old, it was in very good shape, needing mostly cosmetic restoration only. That would be the next step. In the meantime, I was just happy to finally own a Tron. All content © 2009-2014, Jeff Civitate, all rights reserved.